On Day 2 of our Tamil Nadu tour we started early in the morning from Chennai in a car and reached Kanchipuram by 7.30 a.m. Our trip planner included visits to the important temples depending on time taken for darshans, in the ancient city of Kanchi. Our first visit was to Varadaraja Perumal temple in Vishnu Kanchi. 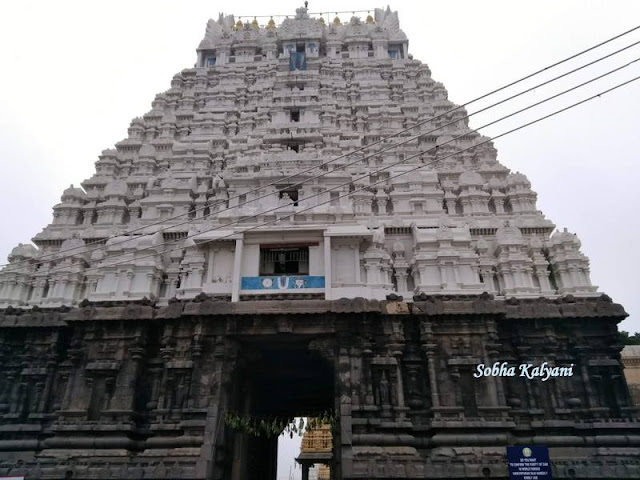 There are two distinct divisions of Kanchi - one is Vishnu Kanchi where the temple of Varadaraja Swamy is located and the other is Siva Kanchi where the temple of Ekambareswarar is located. 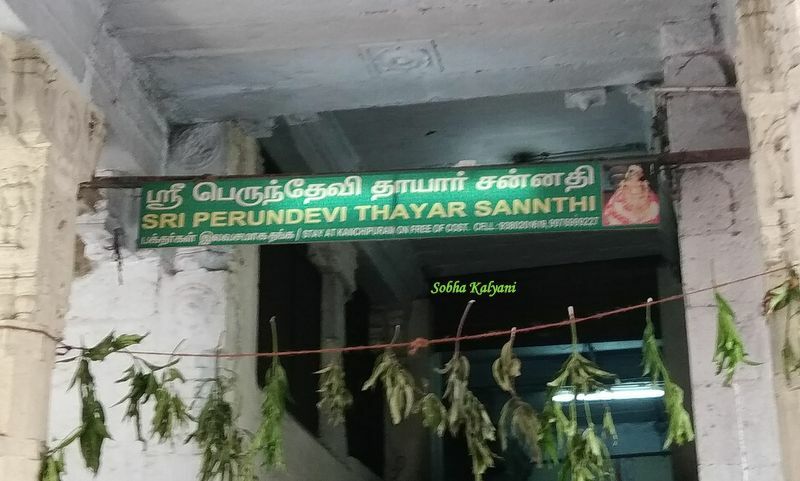 Varadaraja Perumal temple also known as Devarajaswamy temple is highly sacred for Vaishnavites and Kanchipuram is one of the seven teerthas (pilgrimages) in Vaishnavism. It is also one of the 108 (106 on Earth) Divya Desams i.e. temples dedicated to Lord Vishnu and are praised by Alwars in 4000 Tamil verses that are part Divya Prabandham. Kanchipuram is a very ancient city with historical importance. It is one of the important cities in South India with many Shiva and Vishnu temples besides the famous Shakti temple of Kanchi Kamakshi. The city was built and ruled by the Pallava Kings and it served as the capital of Pallava Kingdom. The city is not only famous for ancient temples but also has become synonymous with silk saris. It is easily reachable from Chennai by road and is at a distance of nearly 75 Km from Chennai. As we drove from Chennai to Kanchi, we first arrived at Vishnu Kanchi by 7.30 a.m where the famous temple of Varadaraja Perumal is located. The temple is also known by the names Hastigiri and Attiyuran. The temple remains open for devotees from 6 in the morning till 12 noon and again reopens at 5 in the evening and closes by 9 p.m. Temple timings are subject to change. It is very spacious inside the temple premises and devotees need to walk a long distance after entering through the Rajagopuram i.e. the main temple tower entrance. Varadaraja is the main deity of the temple and it is one of the names of Lord Vishnu. The idol carved of granite stone, is in standing posture with four arms with sankha (conch), chakra (disc), gada (mace) and padma (lotus) held in each of the arm. It is said that the original wooden idol of Varadaraja Perumal is preserved in a silver box kept in a silver casket which is kept hidden / immersed in water of the temple tank. Based on the Telugu inscriptions on stone seen in this temple, there is a belief that the temple by built by the Pallava King Nandivarman II. However, there is no historical evidence. 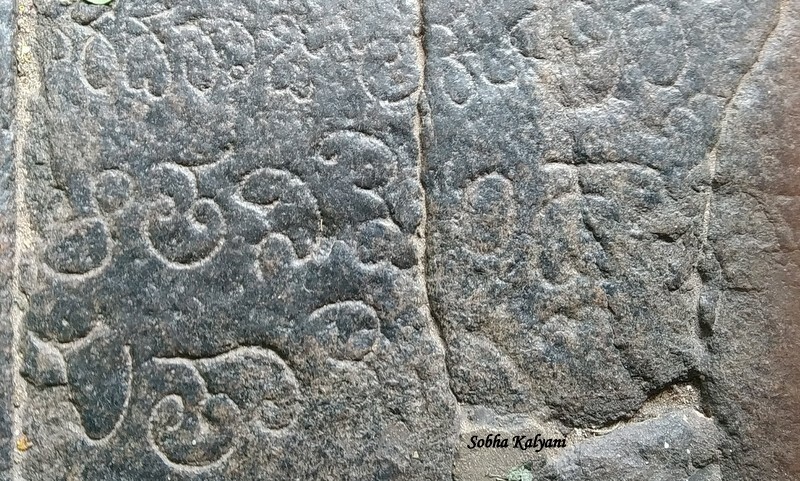 More than 300 stone inscriptions of various dynasties are found in the temple. This is a 11th century CE (Current Era) temple built and expanded by Chola Kings. In this temple goddess Lakshmi wife of Lord Vishnu is worshiped in the name of Perundevi Thayar as the consort of Varadaraja Swamy. The shrine of Perundevi is to the right with a flight of steps. After we walked round the prakarams in spacious temple premises and having the darshan of Varadaraja Perumal, we walked up the stairs to see and touch the gold and silver lizards in the temple which is unique of this temple. The gold and silver lizards in the temple are situated on a panel atop the roof. 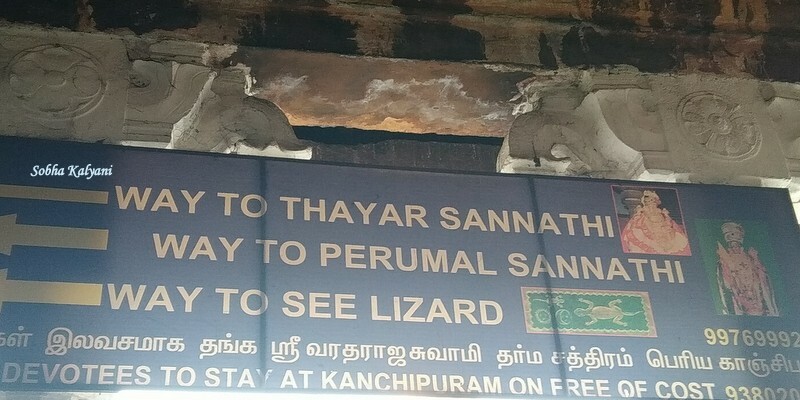 Pilgrims need to purchase tickets cost Rs.10/- (subject to change) at the counter before entering into the shrine to see the lizards. Pilgrims can take videos, cameras and cell phones along with them when they go inside the shrines and the 'garbha griha' but they are not allowed to take pictures of the main idol / perumal or the lizards. Pilgrims who visit this shrine climb up the narrow fixed ladder, touch the lizards and get down. There is a belief that those who touch the lizards will not have any ill effect when a lizard falls on them. Well, there is a belief in Hinduism that one's future can be revealed when a lizard falls a person in any part of the body. After recharging ourselves with the divine vibes, we had very hot and tasty chakkar pongali / sweet pongal and from here we proceeded to Kamakshi Amman temple.